95% RTP, multiplied wins, bonuses, a Gamble Feature and more! 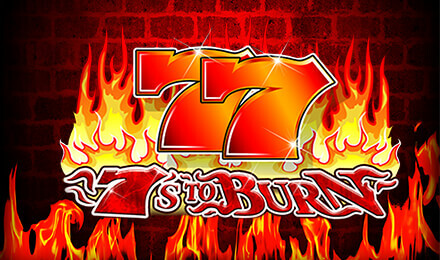 Login and spin to win 7’s to Burn Slots today and get ready to win win win! 7’s to Burn Slots has a 95% RTP, which means you’ve got loads of chances to win big! But that’s not all! There are 2 Wilds, which are represented by the 77 and Burning 77, and each symbols can also multiply your wins - up to 250x! If you’re feeling lucky, you can also go all or nothing in 7’s to Burn Slots’ Gamble Feature, which is available every time you spin a winning line.